Mike Young is one of the largest 203k consultants (http://www.203konline.com/) in the nation with well over 2,500 projects completed since 1994. While HUD doesn't guarantee the quality or warrant the work a consultant provides it is easy to see that exerience is everything. You need to find a consultant that has a few projects under his belt and has stood the test of time. We qualify. The 203k was created in 1961 as a way to refinance or purchase a home and get money to complete necessary repairs on 1-4 unit buildings. The program wasn't being used like it could have been and in 1994 "consultants" were introduced to the program in an effort to take some of the mystery out of the program. Now you have a friend in the business that can litterally hold your hand and get you through the maze of paperwork need to complete the transaction. Rather than have each and every home buyer read the manual and all of the mortgagee letters that revised it, a '203k Consultant' is responsible to keep up with the program and it's changes. We have always been available to anyone, anywhere in the country who has questions about the program, whether you are a buyer, contractor looking to become a consultant or just looking to get more work, a home inspector looking for additional streams of income, we are glad to assist you in any way we are able. We have been completing 203k projects since 1994. There has been a stigma surrounding 203k loans for many years that they have to be poor properties in poor neighborhoods. That is totaly untrue. With the current loan limits as high as they are you are assured of geting a home or 2-4 unit building in nearly every neighborhood in America. High Cost areas loan limits are as high as $729,750. This book is a "Borrower's Guide to the 203k loan process" The secrets in this book can save you up to $1,000 in the cost to get your 203k loan. 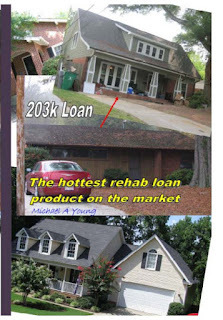 The FHA 203k loan is a fantastic loan program and can be used anywhere in the USA or it's colonies and possessions. 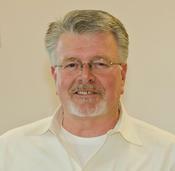 Mike Young has been a home inspector for over 20 years, a real estate appraiser for about 18 years, an investor for over 35 years, a 203k consultant for rehab projects for 15 years, and has rehabbed over 300 properties during the past forty years. Investors who need guidance in buying, repairing, and selling investment properties. We can create your bid specifications, all of the necessary forms required of the program, work to complete the 'work write up' in a timely manner so the consultation will never be the reason to hold up the project. We can do as much or as litte as the homeowner or home buyer requires. You can be hands on, or let us run with the ball. In any case it is always our intention to provide you as much assistance as YOU require. 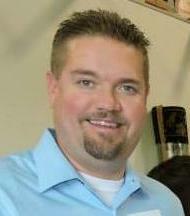 Mike can help you design your new home, offer suggestions for useability, and functionality. Mike has designed many AC systems for quiet running as he believes an air conditioning system should not be heard or felt... just maintain a comfortable temperature for the occupants. Mike has been asked to trouble shoot AC systems in residential and commercial high rise and low rise buildings and was able to find the root cause of the problems and solve numerous malfunctions in these systems. Email at mike@my203kConsultant.com or call for more information 704.451.1599. Our services are billed based on what we provide. Your initial consulation is FREE. 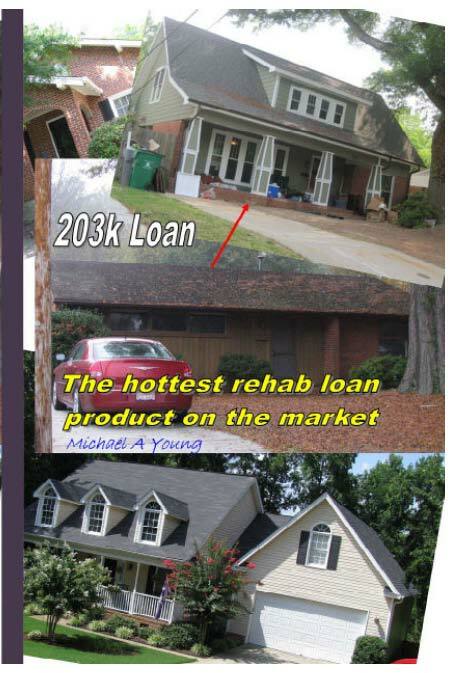 We can train your lending staff in how to make 203k loans a stand alone profit center. We can train you, the investor, home inspector, appraiser, architect, engineer, how to become a 203k consultant. If you are in our area or are willing to travel to our area we are happy to provide some "on the job training. The best 203k consulting software in the business. We have been voted that way by several mortgage bankers associations and continually hear from our clients that they are so pleased with the reports our consultants provide for their underwriting that they "demand" our product be used for their convenience in underwriting the 203k. They just close them faster than their competition. Lenders or banks that require any type inspection please call us for a quote. Draw inspections, vacancy inspections, health and safety inspections, and any other type of building inspection residential, multi-family, commercial, and industrial properties. If you are a consultant and need a professional looking email address fill out the form on our home page and in the 'comments section' let us know and we'll be happy to provide one that looks like this mike.young@my203kconsultant.com for a nominal annual fee. Let your customers know you are in the business with more than a "free email address" you obtain online. Call Mike Young, 203k Consultant at 707-812-7668 for more information.